I recently purchased a 3rd Generation Apple TV and a 22″ Samsung 1080P LED-backlit LCD TV to act as a digital photo frame for my house. I thought I’d found the perfect setup because Samsung TVs have 3 separate timers to turn the TV on and off, so it would only be on when we are home (morning and evenings during the week, during the day on the weekends.) I have over 10,000 photos in my Aperture library, and I was looking forward to seeing them instead them just sitting on my computer. After going through the Apple setup instructions on my Mac (in iTunes, go the Advanced menu and select Choose Photos to Share… and select either iPhoto or Aperture library) and on my Apple TV (Settings > General > Screensaver), I was viewing photos. My first impression was extremely positive. The Ken Burns effect I’d selected was beautiful and the pictures slowly zoomed in and out with perfect fluidity. It wasn’t until a couple of hours later that I noticed *the problem*. The Problem is that, of the 10,000+ photos on my computer, only a couple of hundred of them are ever displayed by the screensaver. You start seeing repeats pretty quickly. When I select my Aperture Photo Library to be the screensaver, I expect to get my entire Aperture Photo Library. Especially when the Apple Setup instructions show a library containing 11,535 photos. The problem lies with how the Apple TV (Gen 2 and Gen 3) handles the screensaver photos. It caches a subset of the photos in the small internal flash storage and then cycles through this cache. It never connects back to the iTunes host for more photos. Ideally, the screen saver would stream the entire photo library from the host computer, just as it does for music and video. It’s a streaming device after all. It would be OK to revert to cache if the iTunes computer isn’t available, but it should switch back to streaming the entire library when when it is. I wasn’t surprised to find that there are many others having the same problem. I was surprised to find that it was first reported on the Apple Support Communities in October, 2010. Apple hasn’t acknowledged the problem, other than apparently deleting a poll asking other users if they also had the problem. It’s a fix that would be easy for Apple to implement, but for now, it appears that I must resume my search for the ideal digital photo frame, which may involve using a Gen 1 Apple TV instead. I’ve been looking for this for ages, and found a way. In Screensaver settings, under Choose Photos, choose the computer that’s got Home Sharing turned on; then click photos. Worked for me. Another option I was playing with was to create a smart album where event name did not equal ; then use that folder (which would contain all photos / events) to be the album with the screensaver pictures. But I don’t need to explore that option now. i sure wish they’d fix this. it’s really depressing to only see the same hundred or so photos out of tens of thousands. evidently there is an AppleTV update coming soonish. I too had this problem, BUT, I’ve found a workaround: Use the *slideshow* instead of the screensaver to view your photos. The slideshow has settings to prevent repeats. I can now view ALL my photos with no repeats! Thanks Ty. Yes, this is a temporary work-around. The only problem is that it reverts back to the standard screensaver if the network connection is interrupted, a button is pressed on the remote, the power goes out, etc. I wish the behavior you describe were the DEFAULT behavior! Definitely not an option or possibility with Apple TV. I am disappointed to know that a feature so trivial is impossible. I would consider buying another not-Apple device if it did this. You know someone? As I recall, if you manually play photos from iTunes, it causes the cache to reset. But there is no auto-purge method as far as I know. sometimes the simplest things seem way to big for apple. why can’t they fix this and, like you say, stream the images like it does with every single other file type? frustrating! Stu, I agree with you. Apple seems to try to “just make stuff work.” It’s extremely frustrating when something doesn’t and they appear to have no desire to fix it. But what’s just as frustrating is that no other company or device seems to offer this feature either. Now that the Google Chromecast is out, I’m hopeful someone will create some software to do what Apple won’t. Not sure if still relieve not, but maybe help someone. Anorexic option I was playing with was to create a smart album where event name did not equal ; then use that folder (which would contain all photos / events) to be the album with the screensaver pictures. But I don’t need to explore that option now. I had to get at it in a slightly modified way. I went to my iMac and first unselected home sharing then reselected it. Then I went to my Apple TV and selected Computer/Pictures/All photos/Screen Saver. Now it works as it should. Thanks guy`s, have been trying to sort this issue for ages, beginning to think about just forgetting the screensaver all together, now at least I know there are others out there trying to find a fix if Apple don`t want to bother. well I’m sure hoping someone fixes this problem. I love to play my music through my itv and have all my photos showing as screen saver. It is so bothersome that I only get a small percentage of photos showing. If Apple is unable to fix this problem does anyone have any other product suggestions that can do what the itv appears to not? I just assumed that all the photots that I put in that directory were going to stream eventually. Stephen, there is a potential work-around posted in the comments. . . but it’s still frustrating that this isn’t officially resolved by Apple. This problem has been driving my wife and I crasy. We have over 14,000 pics and we keep seeing the same pic every 5 mins or so. It’s nice to know that others are as frustrated as us but I think I’m loosing my patience with Apple for lots of other resons too because I think Apple is loosing it!!!! I thought I was doing something wrong because I kept seeing the same few dozen photos out of a library of about 8,000. This problem also occurs when choosing a source from Flickr, where I have the same photos stored as a backup. My main way of viewing and sharing photos is SmugMug, to which I publish from Adobe Lightroom. This lets me create a structured set of views of People, Events, Places, and numerous subcategories within each. Perhaps I’ll suggest to SmugMug that they create an interface to Apple TV so that SmugMug can be a source. In any case, I’m frustrated but also glad to see that it’s not something I’m doing wrong. I can get on Netflix on my phone and computer but my tv keeps telling me that my log in info doesn’t Mach an account in your record?? Finally seem to have a solution. I previuosly went to music playlist and had the photos as a screen saver which showed the same few pics every minute or so. Now instead i start with Pics, chose slide show and then set background music to my playlist. Seems to work fine and shows all pics in selected library. Apple TV 4th Gen has same problem…small cache of only about 100-150 photos for homes sharing of photos with the screensaver feature. This was confirmed by Apple Customer Care after senior techs/engineers were presented with the issue. Does anyone have a real solution to this problem? Patch’s solution does not seem to be a solution, will just bring up same screensaver issue with only about 100-150 photos being repeated often. It frustrating that Apple still hasn’t fixed this. I think the only likely future solution would be if TVos apps support for third-party screensaver apps. So frustrating. I just replaced my 1st gen Apple TV with a 64GB Apple TV 4 thinking, “it has 64GB of storage so I must be able to use it for photos” but no. That would be too easy. What’s the point of having all that storage space if you can’t put your home videos or photos on it? i solved the problem with my ATV 4th generation, in the ATV change the stand-by time in NEVER, the same for the activation time for the screensaver. do the same on mac. Now you can start with the procedure of uploading photos. Wait for a few hours, depends how many photos you want upload, than restore the stand-by screansaver time as you prefer. on app FOTO in my macbook (unibody late 2008) i created a dedicated album “screensaver” with all my favourite photos around 1770 photos. in the photo sharing preferences select “share photos from: FOTO” than i enabled “selected Album” and after i enabled only the album “screensaver”, and confirmed. keep itunes and foto app open and switch on the apple TV. on apple tv set as “never” the stand-by and “never” the time to start the screensaver. Now, on ATV go in settings-general-scrensaver-in home-select the album”screensaver” in the top on the right select “set as screensaver”. now wait few hours. i did it before to go bed and i switched off only the TV, but ATV and Macbook were on. the day after i saw as screensaver “all” photos. i think that all photos was uploaded but after that i read your post, i will check if was uploaded all photos and not only 100-150. my first impression was that all photos was uploaded because before this procedure ATV showed only the same photos but now i saw different photos. on ATV remember to reset the time for the screensaver as you prefer, do the same for the stand-by. To be clear the photos selected for the screensaver are uploaded directly on the ATV 4 storage. the same happens with ATV2 or ATV3 because officially they haven’t storage but in really they have internal memory of 8/16GB. in another room i’ve ATV3 and works fine with the same photos of ATV4. ATV3 is better because you can see if the uploading of the photos is complete because you have “the rowel apple style” showed during the upload. Definitely check your screensaver while it is running. Set it to “Floating Pictures” and I think you are going to see repeat photos in the first minute or two using this setting. Each time you restart the screensaver, then you will get a new set of photos, but only a new set of about 100-150 photos. This is because each time the screensaver is started it grabs a new set of about 100-150 photos and then only displays that new small set of photos. Let me know what you see…think you will see the problem quickly. i’v not words for this “apple stupid function”. thank you. By creating an ALBUM consisting of all photos I find that I can use the screen saver to display a large number of photos. When using the same album file to run a slide show I find that some of the pictures do not stream and open on my TV. Does anyone know why some photos will not load in ATV ? I managed to correct this issue by recreating the albums from scratch. Likely caused by moving or deleting photos . Matt, thanks for this posting. 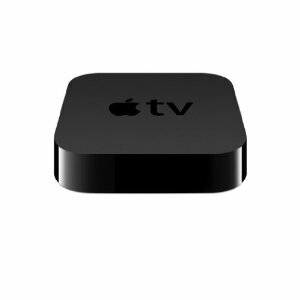 I have specifically a store of about 3 1st gen Apple TVs, since I don’t want to be streaming dependent for my photo frames (computer is off, I would still like photos to be displayed). I noticed also that of my thousands of photos, only a certain number get shown. It’s more than 100, but it’s certainly not all. As others noted, I prefer the floating picture screensaver, since with thousands of images, you can see more as time passes. The fact that NO ONE else has ever developed this sort of floating display is VERY frustrating. Anyway, is there any solution for a 1st gen ATV to show all images in a floating picture screensaver? I was about to purchase the 4th generation apple TV before reading this. I’m really REALLY sick of this limitation, and hope Apple can get the lead out and fix it. Obviously people are asking for it. Android, Floating Image Screensaver, does it right. I though that only Apple had a good way to display thousands of photos, but I was wrong. This is actually better. Get an Android 5.1.1 or higher box, download the free app, and let it go to town. If you do it on a tablet, it’s interactive and lets you zoom on a photo.